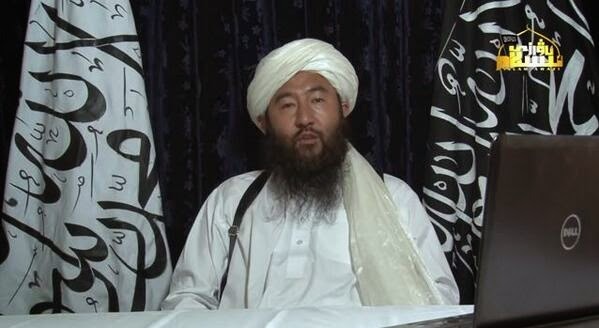 An Islamist militant group called the Turkistan Islamic Party (TIP) claimed responsibility for an attack at a train station in China's western city of Urumqi in late April that killed one and injured 79 people, the SITE Monitoring service said. SITE, which tracks Islamist militant statements, said TIP had released a 10-minute video in the Uighur language showing the construction of a briefcase bomb it said was used in the station attack. "A fighter is shown placing the explosive material and shrapnel of bolts inside a box, then inserting the detonation device in a briefcase with the explosive, and leaving the trigger exposed in an outside pocket," SITE said of the video. 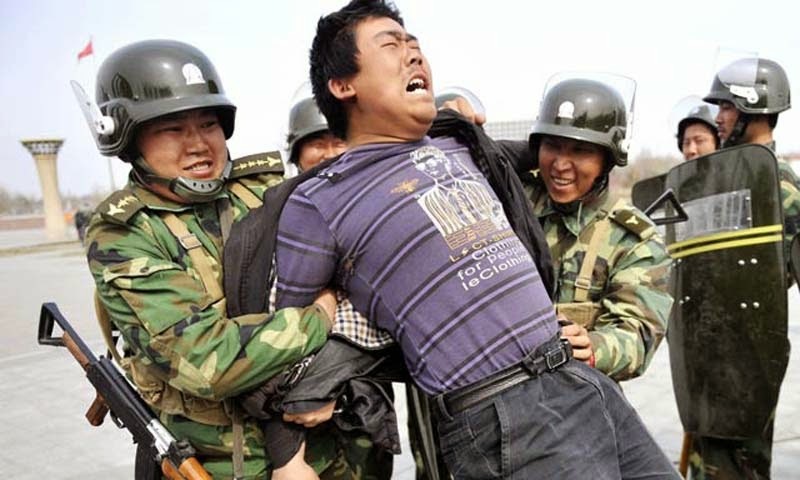 Police in Xinjiang Uyghur Autonomous Region have arrested over 200 people in connection with the dissemination of violent or terrorist videos. This comes weeks after the regional government announced a ban on spreading these videos online, or by using a portable storage device. Since the end of March, Xinjiang authorities found 2,229 webpage links, cracked 226 cases and arrested 232 people who have circulated videos promoting terrorism through the Internet and on portable devices. Among those arrested, 71 are in criminal detention, 107 are under administrative detention, while 34 people connected to 17 cases have been prosecuted, the Legal Daily reported. A team of arms trainers has been sent to China's northwestern Xinjiang Uygur Autonomous Region to help local police better handle terrorist situations, the ministry of public security said on Tuesday. The team, consisting of 30 trainers from across the country, is part of a three-month program launched in April to train grassroots policemen in using arms, the ministry said. It said training will focus on the legitimate use of weapons, tactical collaboration, emergency response as well as safety protection, and will highlight proper handling of cold arms. Battling militancy in Xinjiang, President Xi Jinping today said China wants to step up security cooperation with Pakistan to combat terrorism. Xi said China is willing to enhance security cooperation with Pakistan and work with Islamabad to combat the three evil forces of separatism, extremism and terrorism. Last October, Pakistan's government did Beijing a favor by banning the ETIM as well as the Islamic Movement of Uzbekistan (IMU). But this was more a symbolic action than a substantial change of policy and unless Beijing convinces the Pakistani intelligence agencies of abandoning their jihadi assets, Pakistan will continue to be a safe haven for anti-Chinese terrorists. 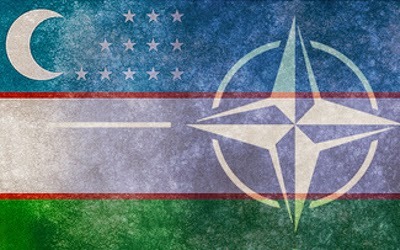 A representative office of NATO will be opened in Tashkent, Uzbekistan on Friday, a NATO official told RIA Novosti Wednesday. "The opening ceremony will be attended by James Appathurai, NATO Secretary General’s Special Representative for the Caucasus and Central Asia,” the representative of the office said. The office will cooperate in defense planning and analysis, military education and training, scientific and environmental issues and support NATO operations, the representative said. Calls have been made for Uzbeks to join mujahideens in Syria at the Uzbek Unity and NDU conference in Turkey held to commemorate the Andijan Massacre on May 11. Ozodlik (Freedom) Radio and the Uzbek BBC service reported that a number of organizations joined forces in organizing this conference, among them Unity of Uzbeks, Unity of Turkestan, and the People’s Movement of Uzbekistan (NDU) headed by the prominent political opposition leader Mukhammad Salikh. The press service of the NDU has published a video on YouTube of at least one presentation from the conference. In this presentation an unidentified person made calls for a jihad against infidels and insisted on the necessity of helping mujahideens in Syria. A jihadist group made up of Uzbeks, Tajiks, and Russians from the Caucasus that operates in Syria has sworn allegiance to the Islamic State of Iraq and the Sham. The group, known as Sabiri's Jamaat, swore allegiance to the ISIS in March, according to From Chechnya to Syria, a website that tracks fighters from the Caucasus and Central Asia who are waging jihad in Syria. The exact size of the group is not known, but likely has scores of fighters. In a video (below) released by the group back in January, at least 70 fighters are pictured. The speaker in the video says that the group is made up "Uzbekis, Tajiks, Chechens, and Dagestanis." Three police officers were killed and seven others injured in a shootout in Russia's volatile North Caucasus Republic of Daghestan. 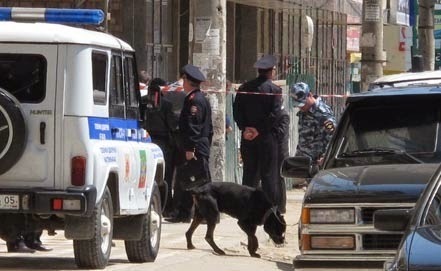 Daghestan's Interior Ministry says that unknown armed individuals opened fire, possibly with machine guns, at a police patrol in Daghestan's central district of Gunib on May 15. The deputy leader of an al Qaeda-allied jihadist group that is led by commanders from the Caucasus and other former Soviet republics has called for Ukrainian Muslims to wage jihad against the Russia government. Abdul Karim Krymsky, the deputy emir of Jaish al Muhajireen wal Ansar (the Army of the Emigrants and Helpers, or Muhajireen Army), said that Crimean Tatars and Ukrainian Muslims should "start on the path of jihad." Krymsky made the statement in a video in which he appeared with Salahuddin Shishani (the Chechen), the emir of the Muhajireen Army.